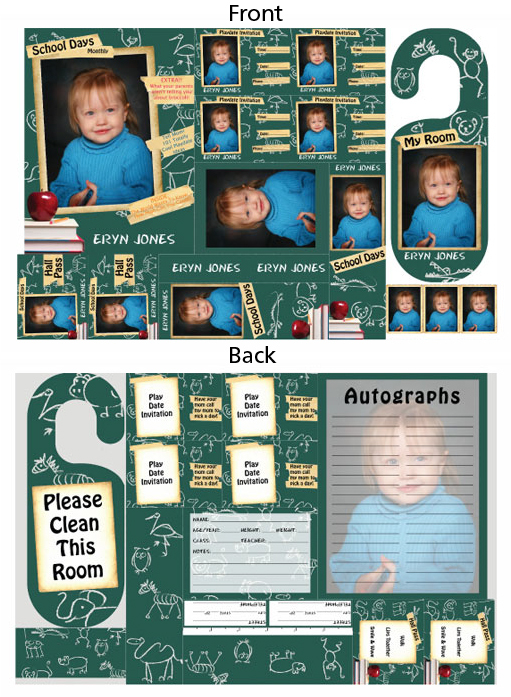 Press-printed, 12" x 18" double-sided Fun Packs are designed for interactive fun. 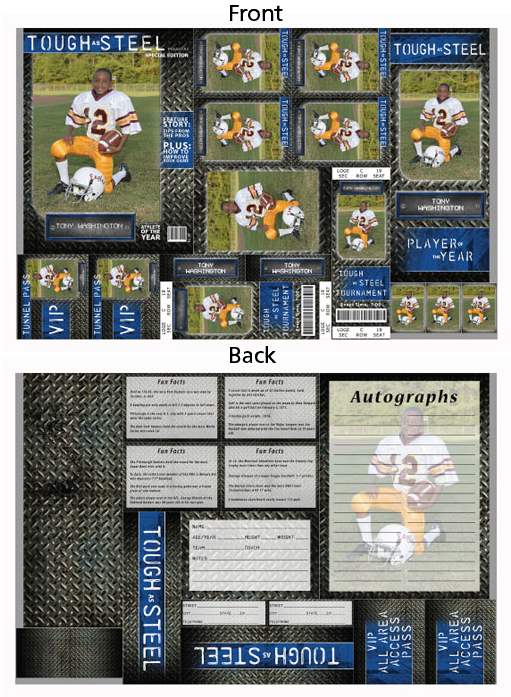 Kids can cut out the items for custom door hangers, trading cards, Magazine Covers, and more. We have a fun pack to fit any school, sports, or dance event. Volume Incentive Pricing can make these fun packs a great value for your packages and a nice profit boost. Total Size is 12" x 18"